I wanted to make matching necklaces for me and my sisters. So in my last metal clay jewelry class, I did just that. 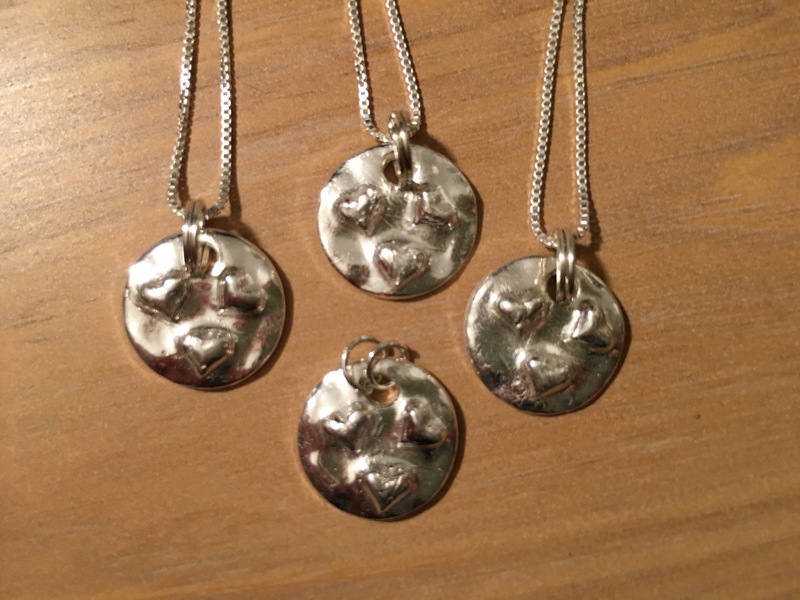 My hope was to have pendants that all matched, but were all just a little different, like me and my sisters. So I made a mold using polymer clay by pressing a rounded end of a tool in it to make a bit of a wavy texture then pressing a small heart charm into it three times – one for me and each of my sisters. My last metal clay jewelry class was a blast. 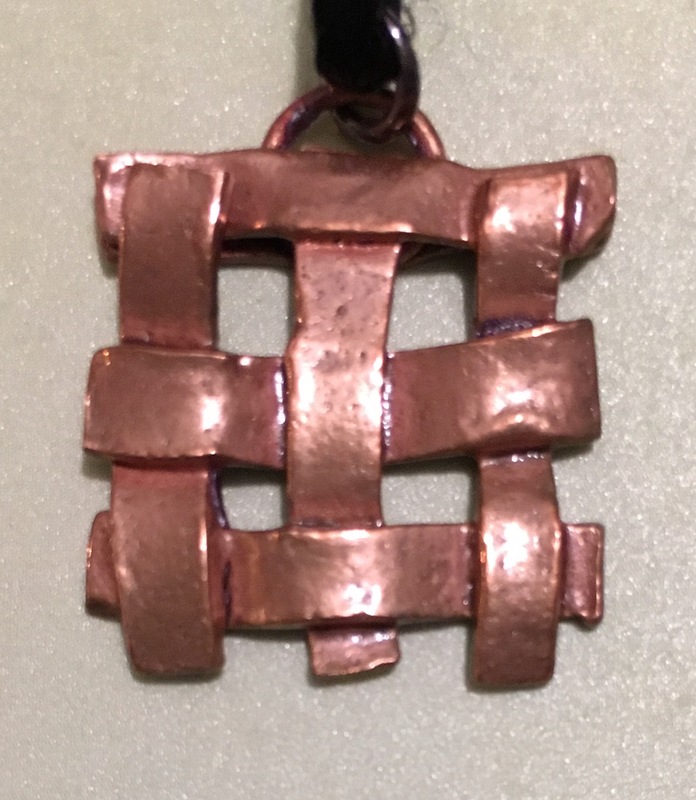 After the class, I made a new copper weave pendant and it has become one of my favorite pieces. It was a little tricky getting the weave done without the copper clay drying out, but it was worth the effort. My instructor said that glycerine will help make it easier to create pieces like this because it keeps it from drying out too quickly. I can’t wait to try using it. For the past few weeks, I have been in a metal clay jewelry class. 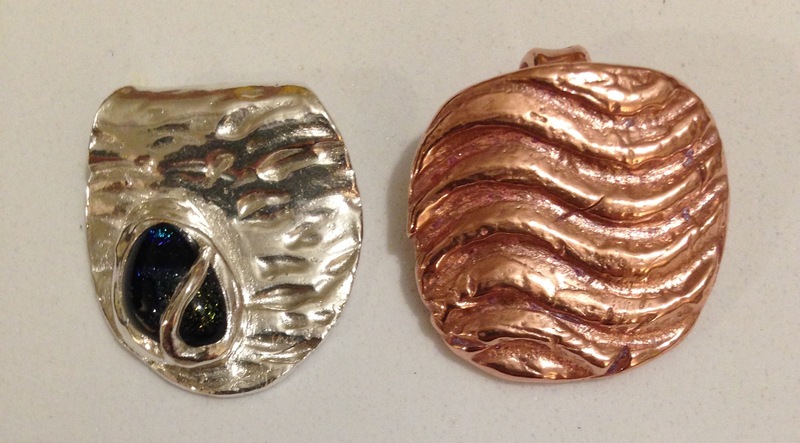 So far we have been working with copper metal clay, and it is so fun. 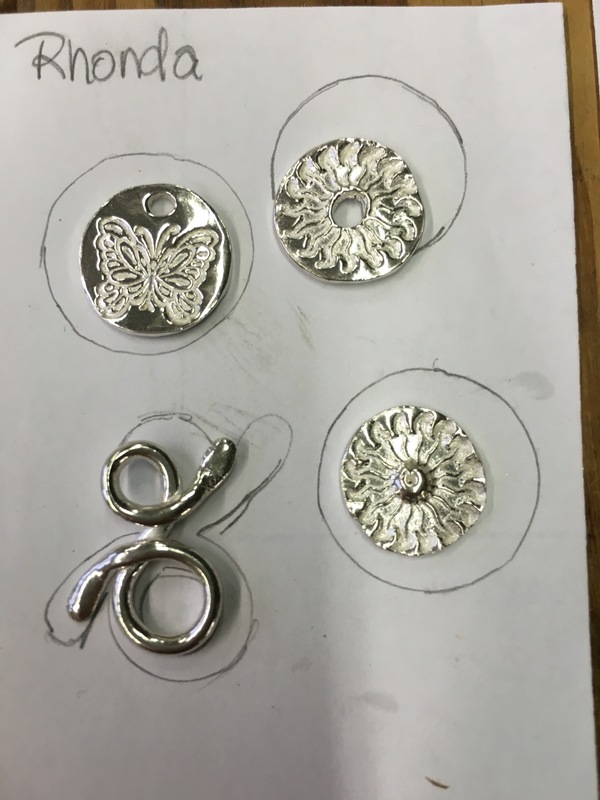 In the spring, I wanted to try working with precious metal clay, but it was a bit intimidating due to the cost and needing to work with a torch or a kiln (neither of which I have… yet). Most of what I have tried so far has been self-taught with the help of books the trusty internet for instructions. So I decided to enroll in a class and learn from someone who is familiar with metal clay.